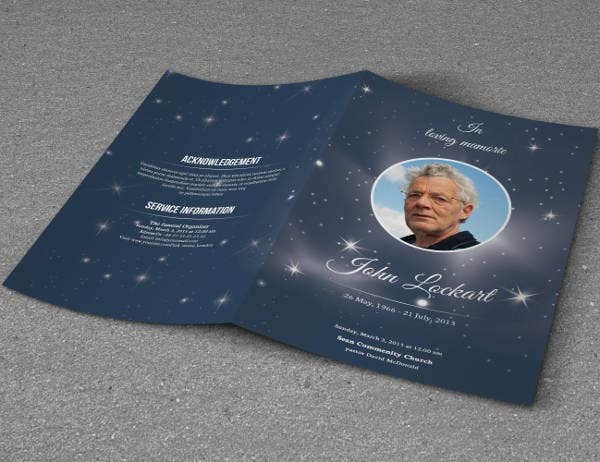 A funeral program template makes it easier for you to prepare a relevant event schedule for conducting the event where you send the departed to the grave. 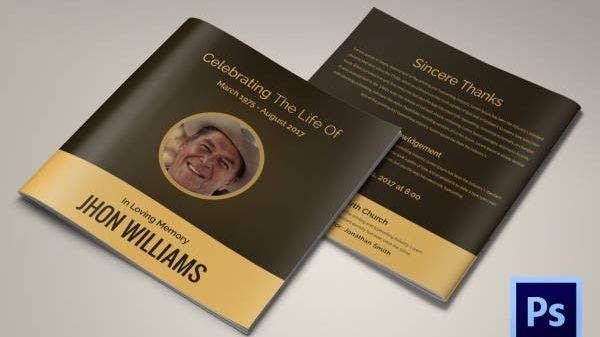 While a memorial program template is something you can create from scratch, you may not really have the time to create the document, particularly if you are mourning the death of a loved one. 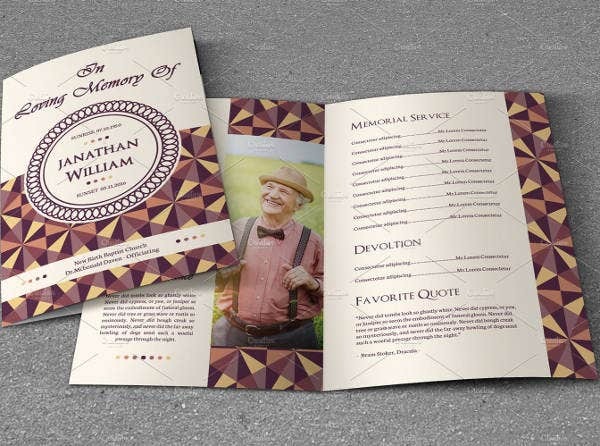 As such, the best thing to do would be to download a sample template that you can customize, and here are the best suggestions. 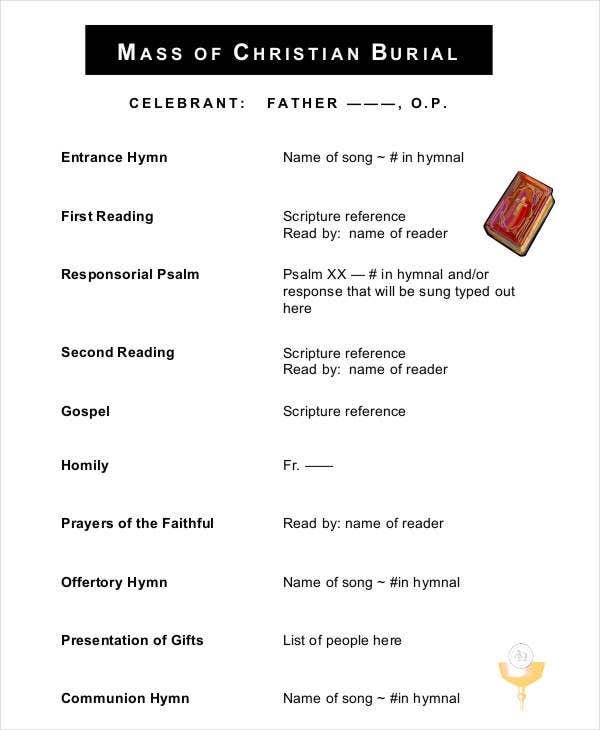 Download this file, customize its content in minutes, and then print and make copies of it. 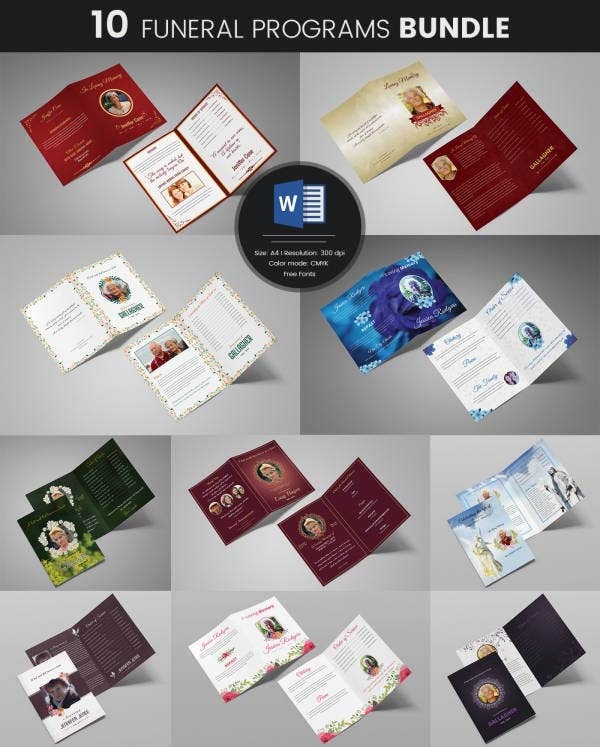 Then, distribute the copies among the members that you would like to come to the event. 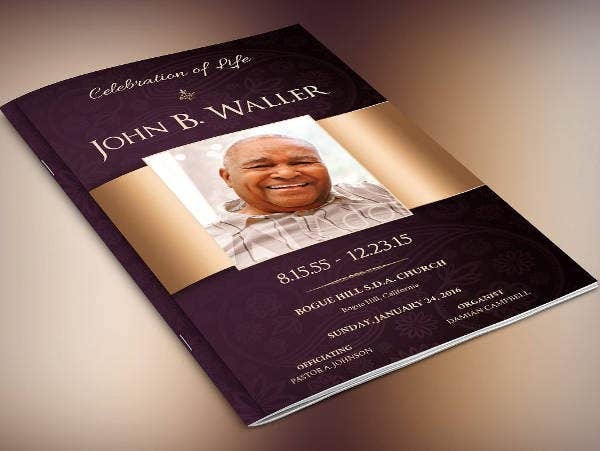 Try not to get emotional when preparing a funeral event program. 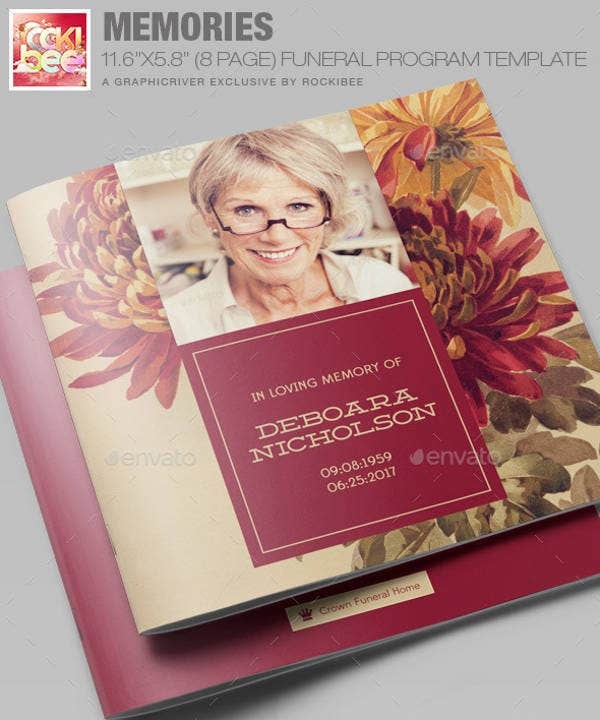 The best thing to remember is that you can use this sample template to make your work even easier, so downloading this file will be an advantage. 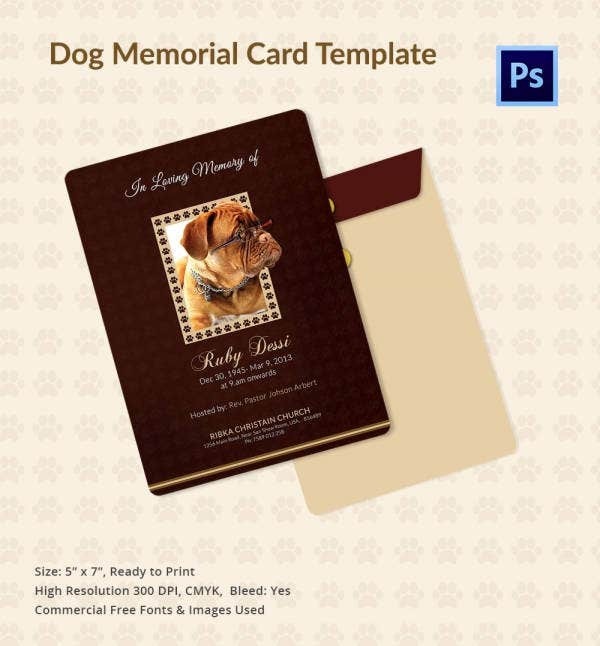 Pets are just animals, but when they die, we feel so sad. 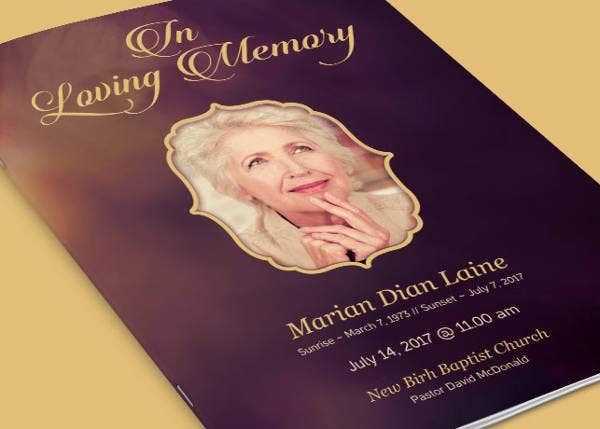 To give them a befitting burial, it is appropriate to create a funeral program to host an event for paying them the last respect. You can use the above file to do so. 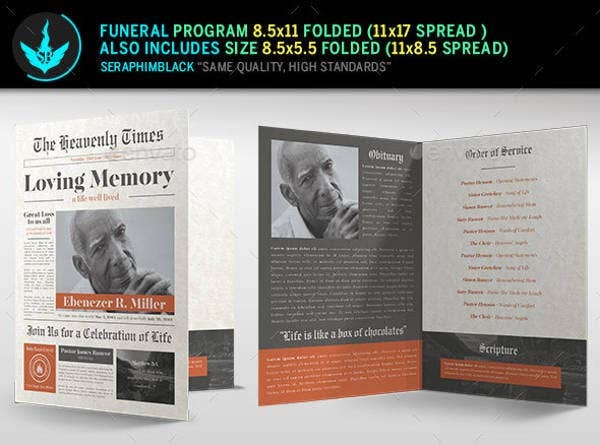 In addition to an obituary template, you will need a funeral memorial program. 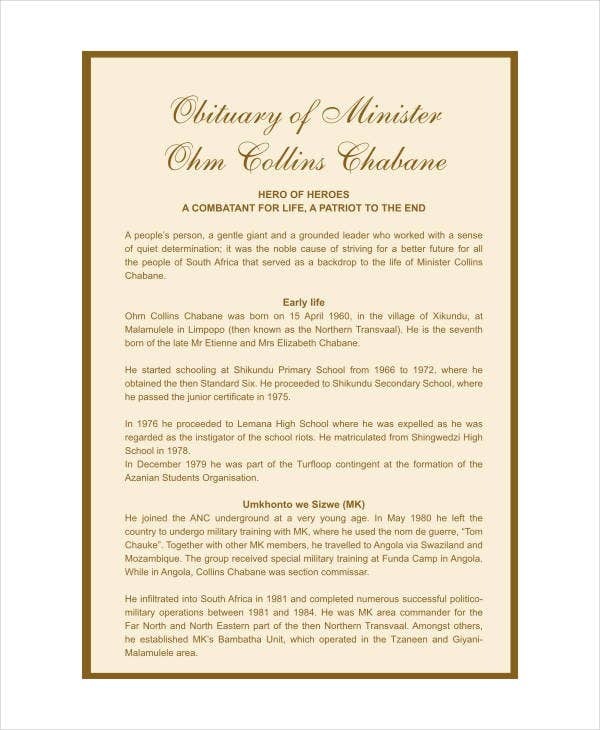 This is the timeline document that you will use as a guide to enable you to conduct a suitable funeral event. 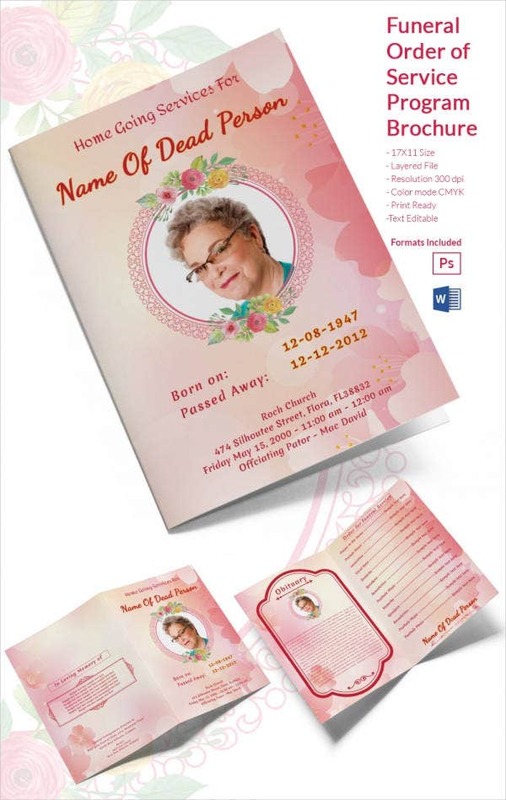 A grandmother who has passed away sooner than expected, deserves a respectful burial. 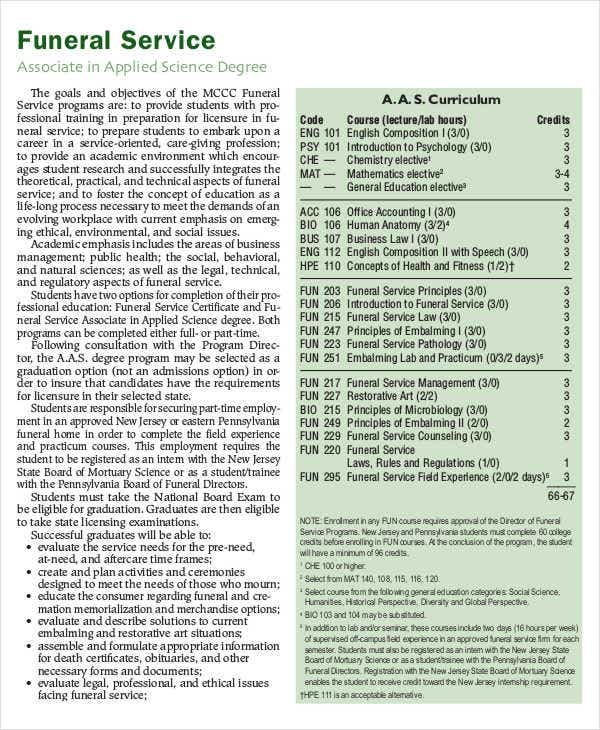 And that means a funeral program is necessary. As such, consider downloading and using this file to make your work easier. 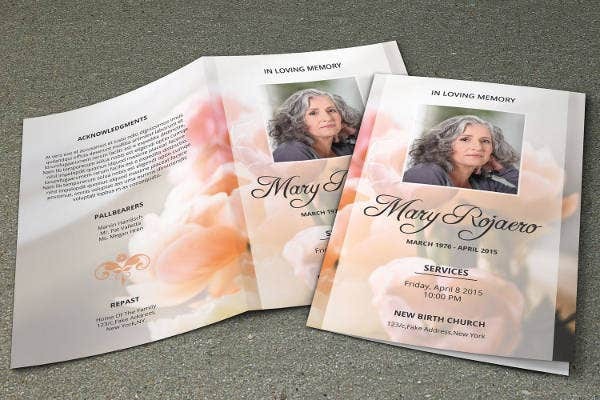 > What are the advantages of funeral program templates? 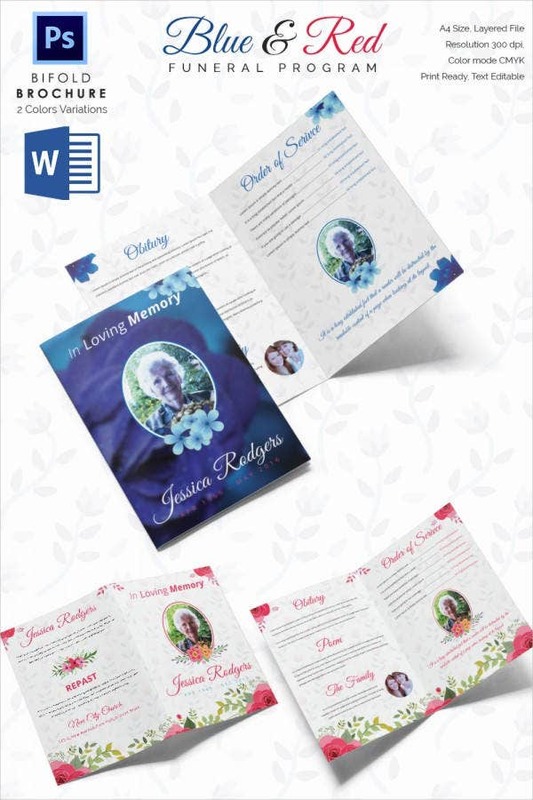 The preliminary advantage of the funeral program templates is that you can download them with a single click of a mouse. It means saving a lot of energy for other important activities. And since the design is already complete, you won’t have to spend even a single minute of your time to create the documents from scratch. 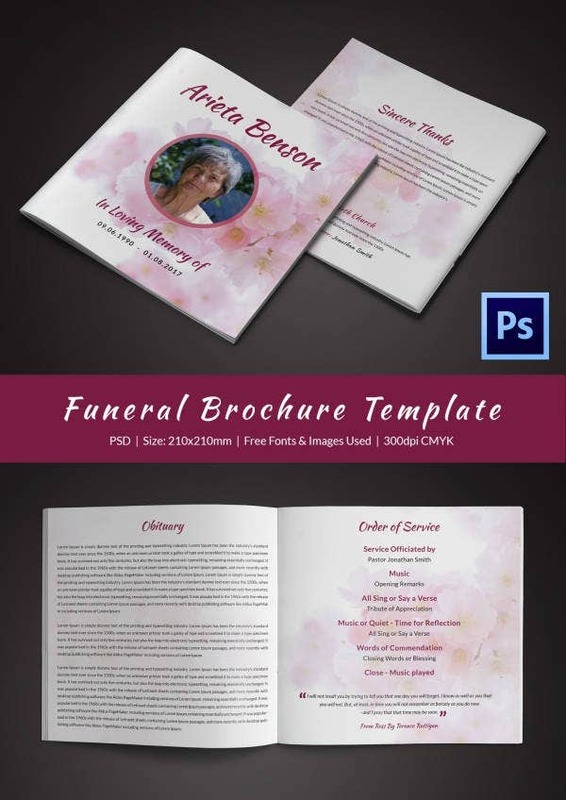 It is important to remember, though, that there are two types of funeral program templates: free funeral program templates and premium templates. The model you choose depends on what you think is best. At the end of the day, the goal still remains the same: to help you save precious time. 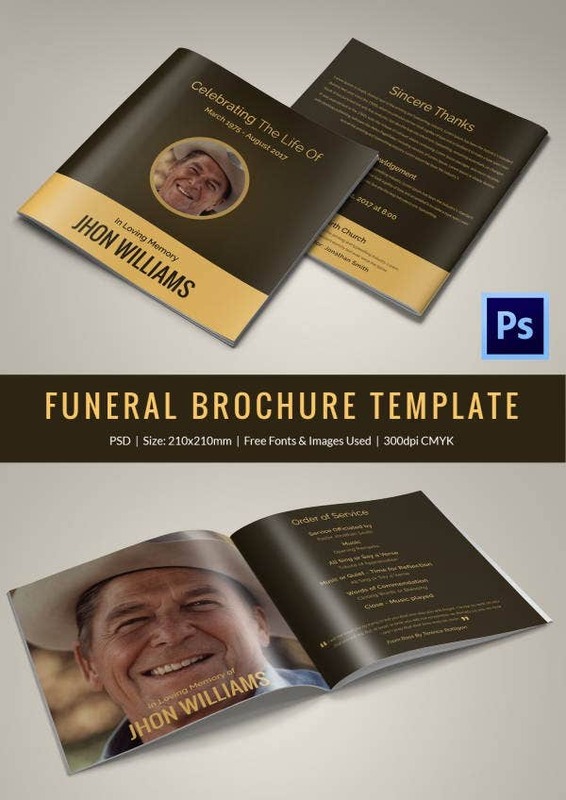 > What are the uses of the Funeral Program Templates? 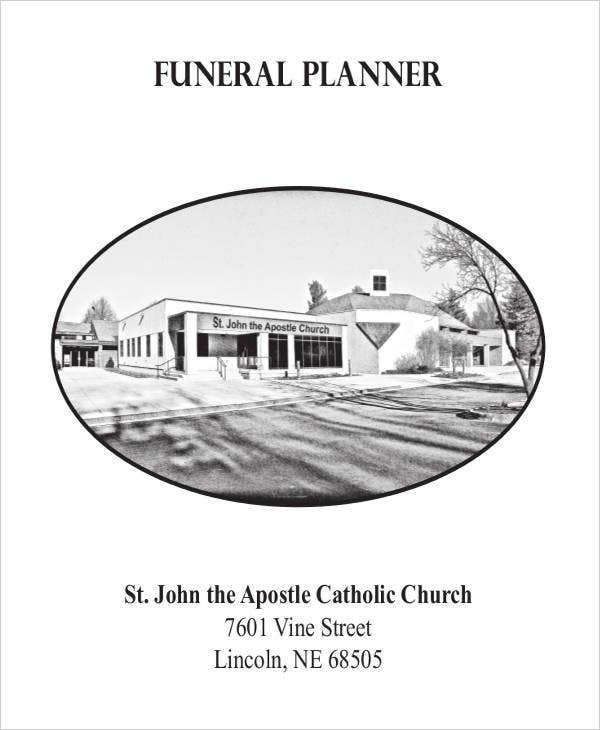 When we think about funerals, two things come to mind. First, there is the need to inform people about the death of a friend, a family member, a neighbor, or a significant other. 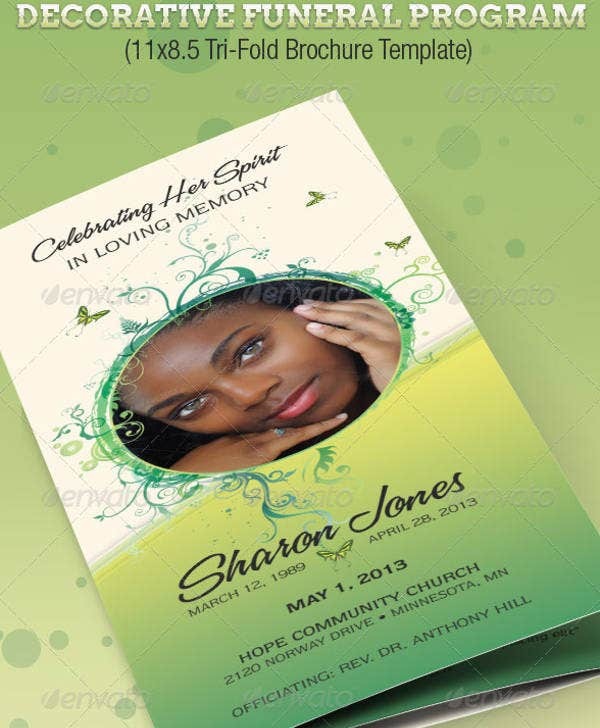 That means you can customize this template and use it as a death notice. 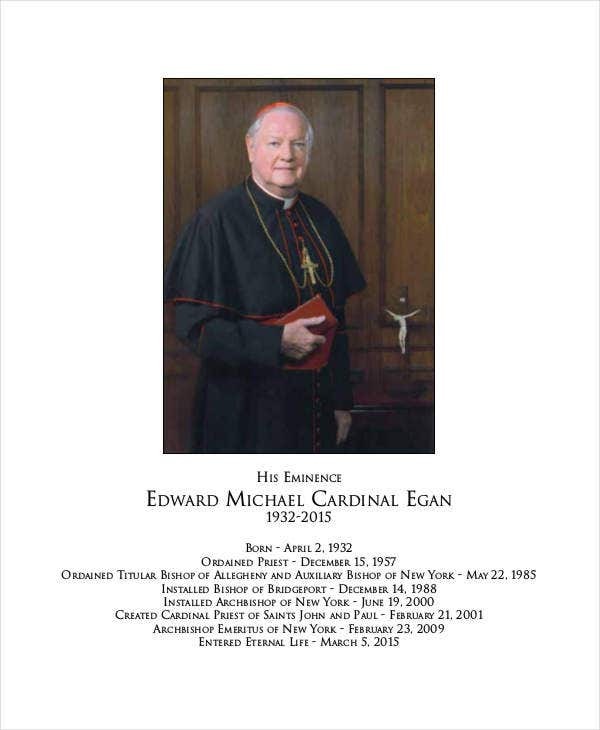 Once you pass the message to people, you can be sure that they will be aware that the person in question will appear on the surface of the earth again. 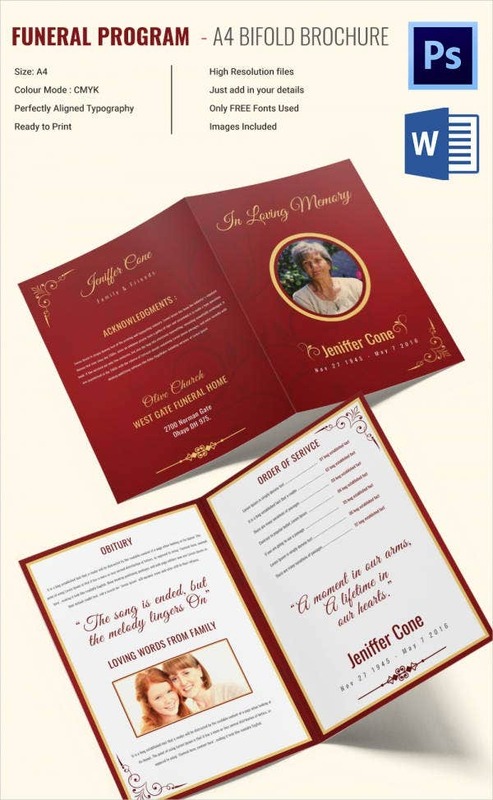 Second, the sample file is an important invitation which welcomes people to pay their last respect to the departed soul. 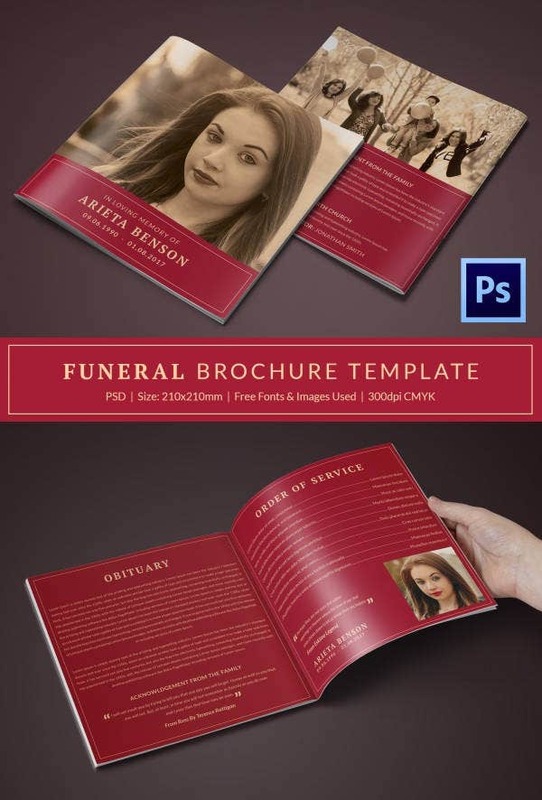 Using funeral programs templates often save people a lot of time. You know when you are mourning, the last thing you want to do is to spend too much time to get funeral preparations done. 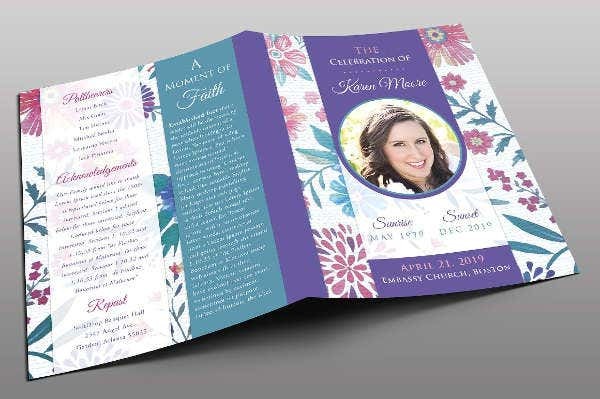 To make sure you are not spending more time on preparing a funeral program, you can always use these sample files for help.